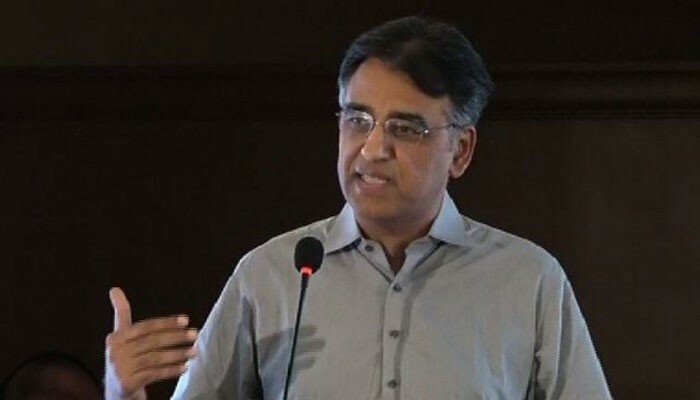 ISLAMABAD: The government has decided to approach International Monetary Fund (IMF) to deal with the prevalent financial crisis, according to Finance Minister Asad Umar. Talks with the IMF will start "immediately" as Prime Minister Imran Khan has given a go-ahead to do so, said the finance minister in a video message. Pakistan is likely to request the IMF for providing it $6 to $7 billion. Sources within the Ministry of Finance informed Geo News that the IMF would demand Pakistan to reduce its non-development expenses to bring down budget deficit. They said the world organisation will also ask Islamabad to expand tax net in the country. The sources added the IMF also wants Pakistan to decrease circular debts and losses in state institutions. A Pakistani delegation led by the finance minister is also scheduled to attend the annual meeting of IMF and World Bank in Bali, Indonesia this week, sources said. The delegation will leave for Bali on Monday, to attend the meeting taking place on the Indonesian island from October 12 to 14, sources within the Ministry of Finance said. A day earlier, reports surfaced stating that the government is in need of US$9 billion to fulfill the country’s fiscal needs. It was also said that the government wanted to approach IMF for a bailout package but did not want to name it so. In an interview with Arab News in September, the finance minister said that they were not in a rush to approach the IMF for a bailout. “Pakistan is not in an emergency situation that requires it to rush to the IMF to seek a bailout,” the finance minister had said during the interview.